Despite keeping myself busy with work and travel throughout this Summer, there’s part of me that can’t help but feel like these middle of the year months have just dragged by. In the website’s perspective, time may as well have stopped altogether. I suppose if there’s one downside to running a niche website, it’s that for a good portion of the year not much is going on. Typically I’m able to head out to Japan for a few weeks in between Attack seasons, but this year, much like the last, has been way too busy. With that being said, I will be back in Japan soon to attend a couple of cool ‘pre-season’ outings, as well as meet with some key people to solidify some plans for the coming season. 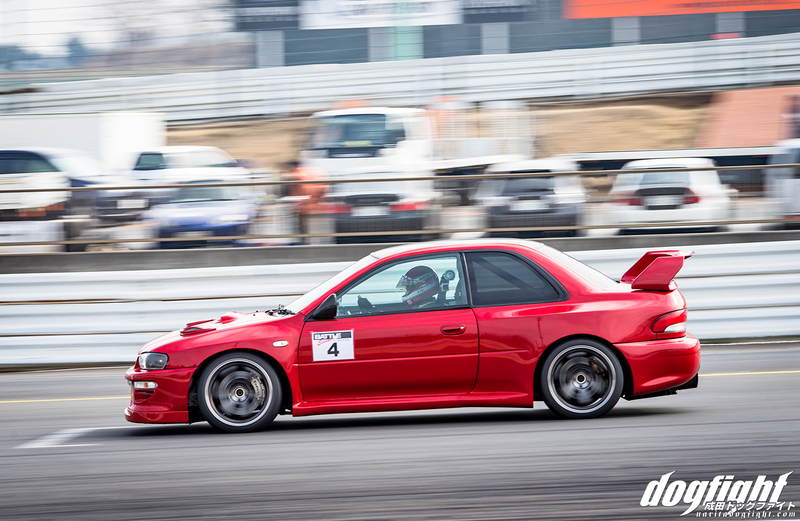 It’s been awhile, and I can’t wait to get back on track and see some unique builds; like Naoki’s GC8 here. As you can clearly see, this is no normal WRX. Naoki has gone the extra mile in body modification and extended the front fenders and rear quarter panels an additional 50mm on each side. The extra width lets the 18×11 TE37’s and 295 Advan’s fit with no issues. 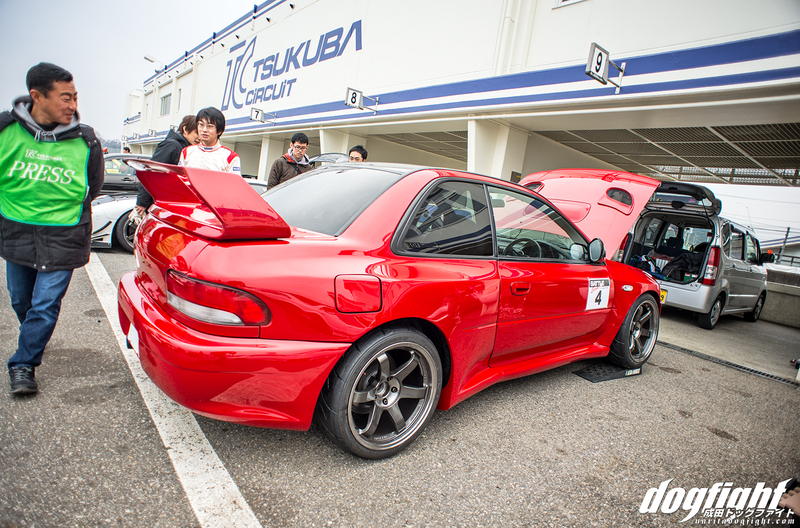 The extra width, and rally inspired look definitely give it a boost of aggression, but after I learned that it had run a mind-blowingly quick 57.963 at Tsukuba that day, I had to sit back and watch it for a bit. Turns out that Naoki has an immense amount of work into the car; not just the exterior either. Cool features like an integrated side skirt into the rear quarter panel, a carbon roof, and WRC style mirrors are a trademark of the subtle additions that seem to make this car so special. The interior is left with the OE dash and door cards, but not much else. The completely rebuilt engine boasts an impressive 550+ whp at 25 pounds of boost, compliments of the HKS GT turbine. The car looks amazing on track, with each well thought out modification working alongside each other.